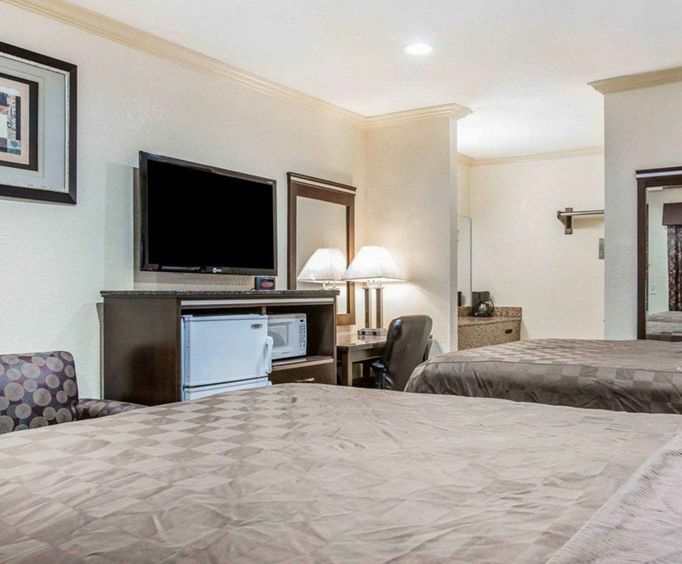 Conveniently located near both Imperial Beach and Coronado Beach, the Rodeway Inn offers you a great place to stay along some of the most beautiful coastline in California. Before heading out for a day at the beach, enjoy the Inn's complimentary, hot continental breakfast. The Rodeway Inn is also located near PETCO Park baseball stadium, which is home to the San Diego Padres. The Inn's location also allows for convenient access to Knott's Soak City water park. 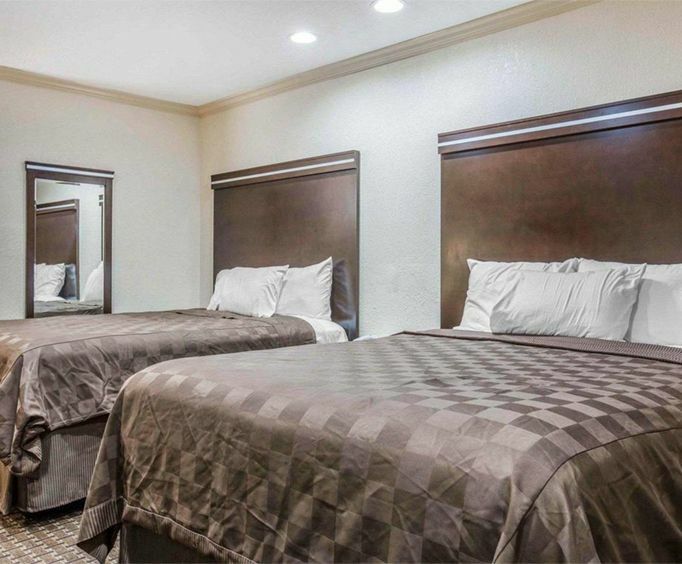 For anyone traveling on business in the National City area, the Rodeway Inn is perfect because of its convenience and comfort. Enjoy a hot day inside in cool, air conditioned comfort, and take advantage of the hotel's readily accessible copy machine and fax machine. Read the morning paper while partaking of a complimentary continental breakfast of fresh muffins, bagels, bread, fruit and beverages. You can even take a walk around the hotel in the shade beneath the ground's beautiful palm trees. Whether you are traveling for business or for pleasure, treat yourself to the spectacular service at the Rodeway Inn. 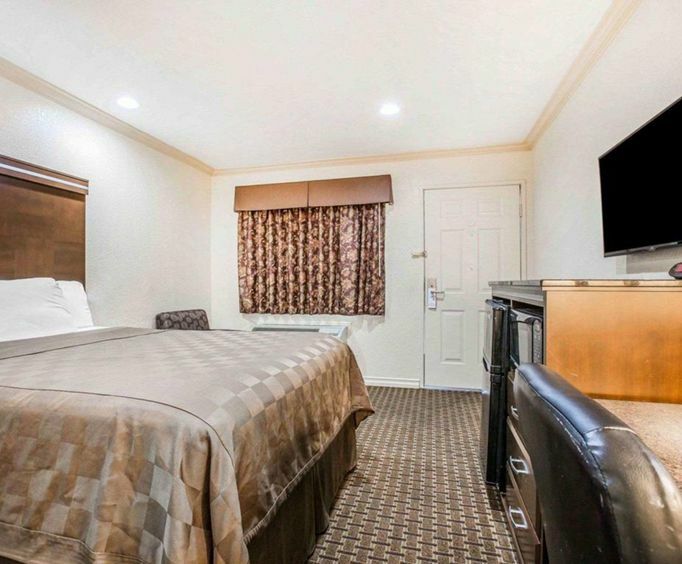 Your room in the hotel includes a coffee maker, free local calls, complimentary high speed internet, a refrigerator, a microwave and cable TV. You can have a tasty meal without traveling far from the hotel, since Jack In the Box, Napoleone Pizza House and Mc Dini's are all located less than a quarter of a mile from the hotel. Attractions in the area include Old Schoolhouse Square and Westfield Horton Plaza, both within 4.25 miles.